Yup, it was a hot, dirty job ! Maybe everybody already knows this; I always seem to be the last to find out, and this week has been very busy for us. Jim Gannett passed away last Saturday, suddenly from a brain aneurysm. Bruce Sutherland sent me the obit -- copy below. Jim was one of my very best friends; I'm truly blessed to have so many. I felt I had to add my two cents. I first began working with Jim in 1978; he had a lot miles beneath his wings by that time. We worked on flight deck displays, and later with the 707-700/Re-Engine Program. This was the last 707 production commercial airframe manufactured, and the first and only production airplane with CFM56 engines. I remember when it rolled out. It was shop complete a couple of days early. Jim was the Project Pilot, and I went out alongside the Renton runway to watch it make its first takeoff. After the test flying, Jim took it on a tour. 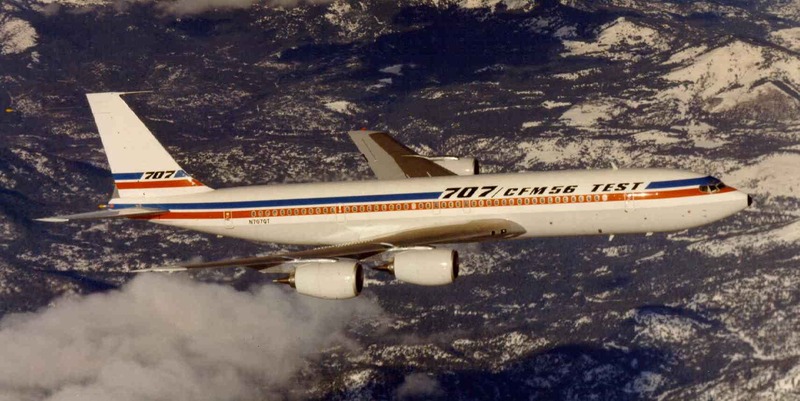 Very impressive with those CFM's, Boeing didn't want to compete a 707 model with the new 757/767 duo, so that was it for the 707 and the airplane was later converted back to JT3Ds and sold to Morocco. I always thought the 707 had more life in her; Douglas did sell lots of stretch 8's and many are still in service - a lot with CFM conversions. Some of the AWACS and E-6 airplanes also wound up with the CFMs. Jim and I continued to have contact during our working years, but after our retirements, our friendship really blossomed. The Internet was the facilitator. I've found this has occurred in quite a number of other cases as well. We started trading emails, and pretty soon, lots of phone calls and visits. Jim was an amazing guy - very quiet, very serious, very soft spoken, yet very intense. As dedicated and straight arrow as they come. I always thought he could be a contestant on 'What's-My-Line' every week, and no one would ever guess his occupation. He never lost his interest in flying, or making things better. He was especially interested until the end in cockpit displays. He'd call, and write, and send me stuff on displays, which, despite being around for 80 years (like attitude indicators,) he didn't like at all. He came up with all new concepts and worked on pushing them through more than just concepts, but patents and into production. So many calls I remember, where I'd answer and he'd say "Now picture this, you're looking at a screen, like from an inside-out funnel, and all you have to do is..... why, Anyone can do it, it's so intuitive!!!" Me, I'd rant about general aviation engines that I think are junk, ancient technology, unreliable, and all deserve to be melted down and made into rebar. We'd have a great time! Jim was one of the (few) people in my life who understood and appreciated my packrat mentality and habits and was always calling for some old picture or report or some such, and I'd go down and rummage in my basement piles and boxes, and find just what he wanted. A day or two after I took Jim over there for the first time, he called, to thank me for the trip. He told me he thought it was the most significant, memorable, and important thing he'd done in his retirement, one of the best in his whole life. What! No way! This was a man who'd rolled the Dash 80 with Tex Johnson over the hydro races in 1954; who had received the first Kinsheloe award in 1958 from the Society of Experimental Test Pilots; the Project Pilot for the Boeing SST; Korean War combat pilot.. Hell, we didn't even rotate! I told my wife, -- then wrote down his comments, and taped them to my computer monitor. I looked at them every day. When the time came, in September 2003, for NASA 515 to make her final flight, Jim volunteered to fly me over to Moses Lake in his Cessna 206 - and he did. A spry 83, he flew this airplane just a few days before he died last week Damn! Way too many of my friends are making that trip West. I'm thankful that I've done the things I've done, been the places I've been, worked with and been friends with so many great people. And, when you get a goodly crop of white hair, I think the word Love starts to creep into the old noggin'. So to all of you great friends out there - you all know who you are - before you select 270 in the heading window, or before I do, I just want to say, I LOVE YOU GUYS! And Jim, enjoy your Flight West. I'm gonna miss those calls. I hope it's VFR all the way, (so you won't have to check much with your inside-out, upside down funnel attitude indicator), and with just enough puffy clouds to make for great cotton balls in a deep blue sky and warm golden sunsets. Have a Good Trip, Captain Gannett! He flew high and low, fast and slow -- with passion and without fear. James R. Gannett, a retired Boeing test pilot whose testing days date back to the 1950s, died of a brain aneurism in Redmond on Saturday. He was 83. Gannett was best known in the Northwest for co-piloting a Boeing 707 jetliner that performed two barrel rolls over Lake Washington in 1954. Though the stunt wasn't his idea, Gannett's aeronautical expertise helped Boeing soar into the commercial jetliner industry. "He was a good father and a good husband, but the love of flying and solving problems was really his passion," son Craig Gannett said. Born Feb. 4, 1923, Gannett first became interested in flying when his father gave him $1 to ride in a plane. He fell in love with aviation and earned a master's degree in aeronautical engineering from the University of Michigan. Gannett spent 1950-1954 at Edwards Air Force Base in California testing experimental aircraft. He flew alongside testing celebrities such as Chuck Yeager, the first person to break the sound barrier in a supersonic jet, and flew 55 combat missions during a nine-month stint in the Korean War. In 1954, Gannett and his family moved to the Seattle area so he could work for Boeing, where he first tested the Dash-80, the experimental version of the 707. "He left the Air Force when I was about 8 weeks old," Craig Gannett said. "We came to Seattle; we drove into town literally the day they rolled the Dash-80 out of the hanger. ... He literally arrived at the dawn of the jet age." 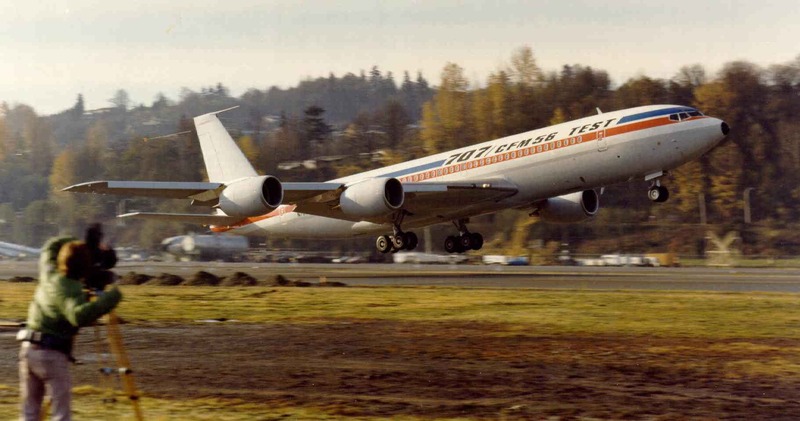 The 707 was Jim Gannett's first project, and he continued testing it and other 707 versions throughout his tenure at Boeing. Because of his knowledge of the 707, Gannett helped develop pilot certification rules for the FAA when it was time to update the rules for jets, and trained airline pilots how to fly the 707. "A lot of his students went out and populated the airlines at the beginning of jets," said John Cashman, director of flight operations at Boeing and a colleague of Gannett's. That work earned him the inaugural Iven C. Kinsheloe award in 1958 from the Society of Experimental Test Pilots. 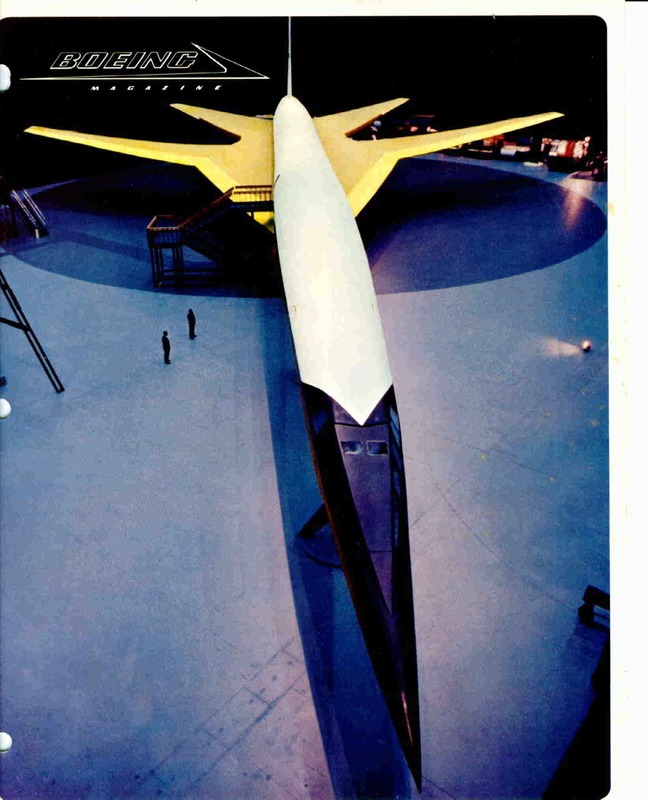 Gannett was the project pilot for Boeing's SST, the supersonic transport plane -- the American version of the Concorde -- until the federal government scrapped the program in 1971. The project took up a "huge chunk" of Gannett's time, Craig Gannett said. Jim Gannett also tested the Boeing 727, 737 and 747, and military airliner adaptations such as the 707-based AWACS (Airborne Warning and Control System) radar jets. But Gannett was more of an engineer than a daredevil, Craig Gannett said. He spent much of his life developing better instruments for jetliners, including gadgets used today in Boeing 747s, 757s and 767s, Cashman said. "He always had ideas on things," Cashman said, "and not only how they are today, but how they could be improved." That passion for perfection carried through to the end of Gannett's life. He recently got a patent on a new navigational instrument that gives pilots more intuitive readings for a plane's attitude. "He's a pretty hard worker," daughter Laurie Milton said. "He would persist to complete things. ... He was stubborn in a good way and stubborn in a bad way." Gannett never stopped flying -- he flew a small Cessna prop plane last Wednesday. Tennis was another passion, as well as skiing, sailing and fishing. When his son was young, Gannett would fly his family in a float plane to remote lakes in the Canadian Rockies to fish. "He was a great family man," Milton said. "He loved his grandchildren." Survivors include wife Eleanor Gannett, 82; daughters Laurie Milton, 49, and Julie Gannett, 46; son Craig Gannett, 52; and five grandchildren. Memorial services will be at 9:30 a.m., Saturday, July 15, at the Boeing Museum of Flight; and at 2 p.m., Sunday, July 16, at the Redmond United Methodist Church. In lieu of flowers, the family asks that donations be sent to the Museum of Flight or the Henry M. Jackson Foundation.